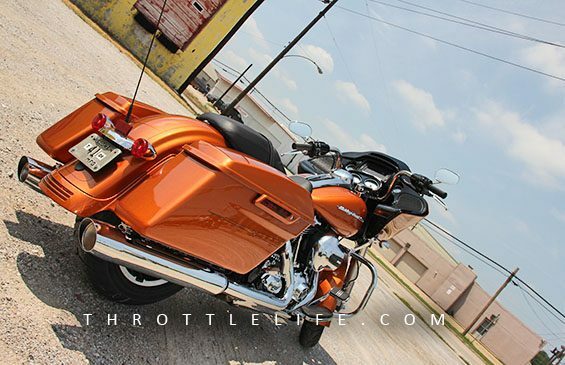 2015 Harley-Davidson Road Glide – Return of the Mack | Throttle Life! How do you revamp an iconic motorcycle revered by some for its traditional look, classic lines and instantly recognizable styling while appealing to those who view these same qualities as flat out boring and dated? As the old saying goes, very carefully. This is the unique problem Harley-Davidson (HD) faced when updating their 2015 Road Glide. 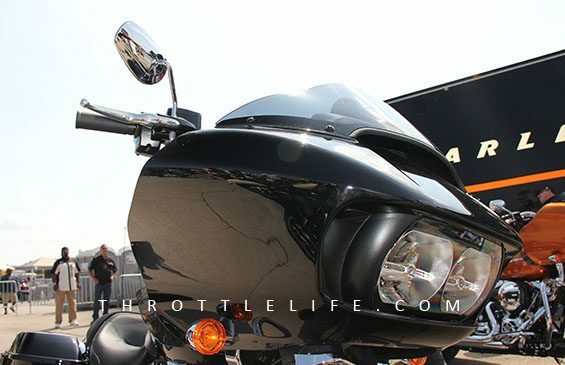 As HD strategically made power moves under the “Project Rushmore” title with introducing updates to existing bikes as well launching new products, one was noticeably missing from this virtual cat walk of new’ness, the beloved Road Glide. 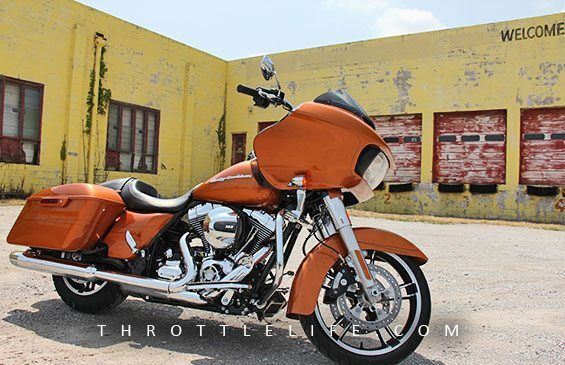 Throttle Life was fortunate and blessed to be one of the lucky firsts to take this iconic machine out during its simultaneous national debut with one launch held during the infamous Sturgis Motorcycle Rally and the other during the nation’s largest traveling camping motorcycle rally, the National Bikers Roundup held in Tulsa OK for 2014. During our seat time on the Road Glide Special I couldn’t help but reminisce to the Floaters classic “Float On” as I #RoadGlided throughout some of Tulsa’s most recognized areas hitting up the back roads, highways and a spin thru downtown while enjoying HD’s Project Rushmore 6.5” color touch screen infotainment system housing the navigation system, HD’s Boom! Box 6.5 GT radio. No doubt this system is truly functional and easily controlled via ergonomic hand controls repositioned to rest under the thumbs. 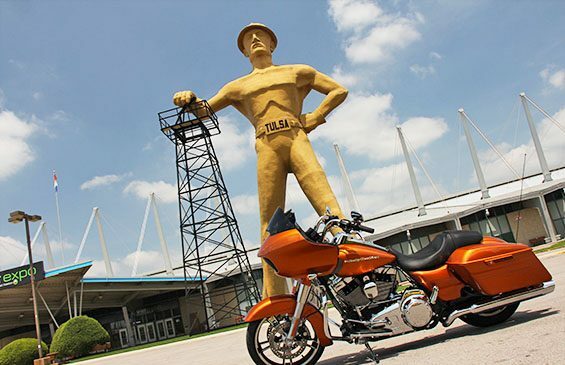 Although more than 100 completely new changes went into the 2015 Road Glide from suspension, to shocks, to the oh-so easy one-touch tour packs, three major factors were essential according to HD Director of Market Outreach, John Comissiong. 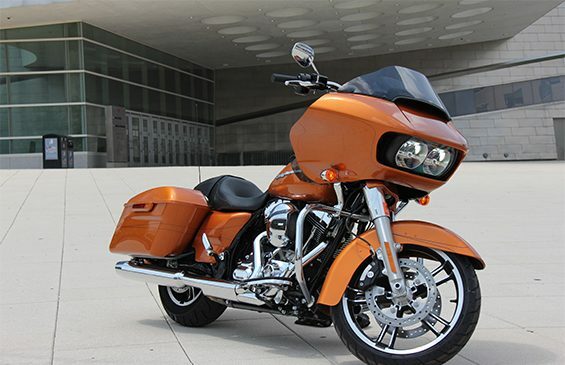 1) better airflow management resulting in best in class reduced head buffering, 2) improved ergonomics with the handlebars repositioned 5 inches back for greater comfort and ease of use with the infotainment system and 3) improve the dated look while bringing the essence, spirit and characteristics of the Road Glide into the new age. One of the most notable improvements is the dual Daymaker Relfector LED headlights that pierce the day as well as the darkness for increased visibility housed in the updated fairing. Powering the Mack is HD’s beast mode High Output Twin Cam 103 V-Twin. The airbox enhances airflow for better low-end torque resulting in faster 60 to 80 mph 5th gear performance. Providing the stopping power are high-performance dual disc Brembo brakes with state of the art 4-piston front and rear caliper dual front rotor brake system along with the safety of ABS. Whether you were a fan or foe of the Road Glide, one thing is sure, Old Macky is back, new and ready to bite.